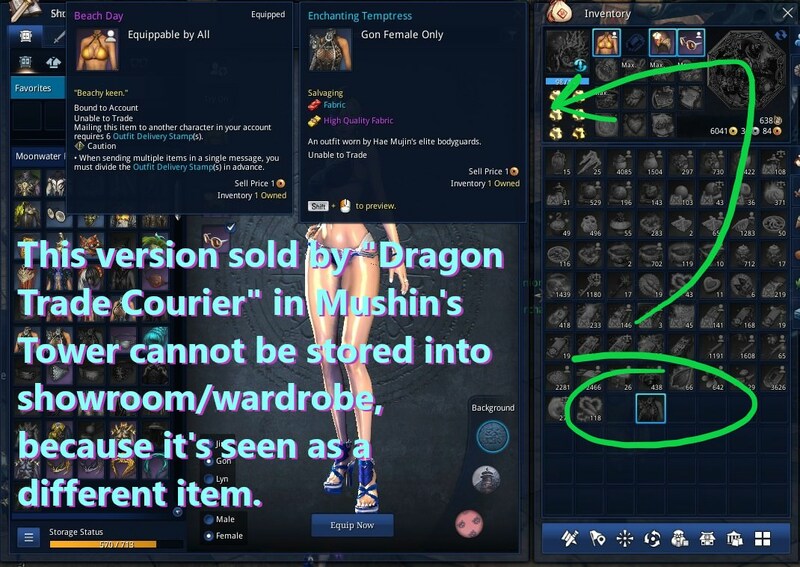 The outfit, "Enchanting Temptress", which I just bought from the "Dragon Trade Courier" in Mushin's Tower, cannot be stored into showroom/wardrobe as it is seen as a totally different item from the version that IS shown in the current showroom/wardrobe. Included are screenshots. Please, fix. 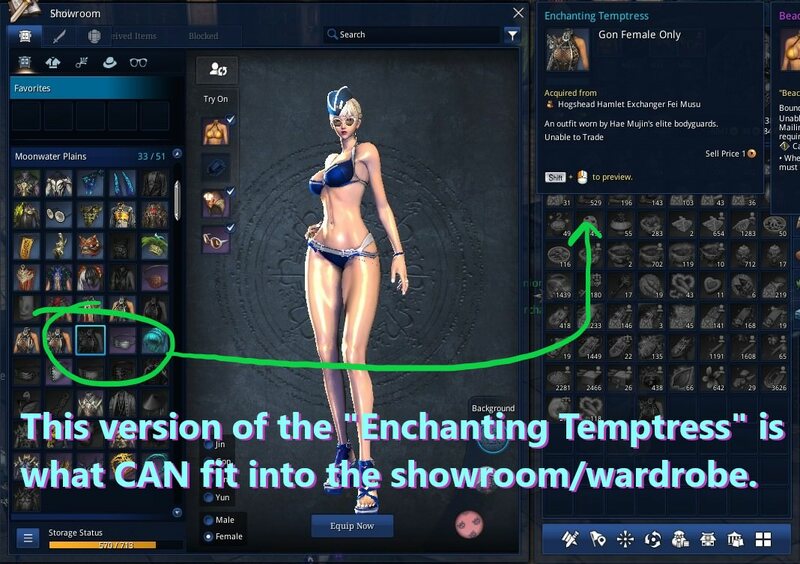 Also, BOTH version of "Seductress" are shown in the showroom/wardrobe. Also, "First Step" in the "Moonwater Plains" section of cosmetics has been showing a duplicate in the showroom/wardrobe for a few years now. The other one is under the "Hongmoon Store" section still. Thank you for taking the time to look at these.